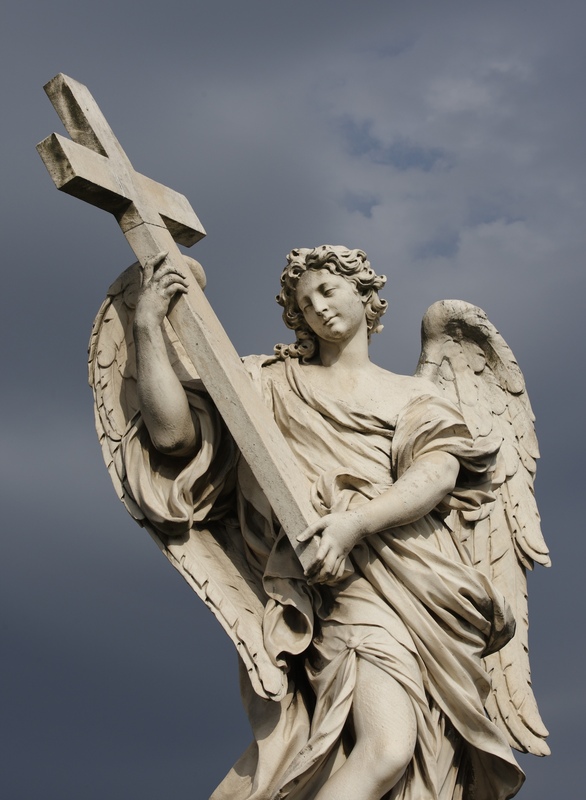 We’re about to embark on a great, broad-based education campaign in the Catholic Church. 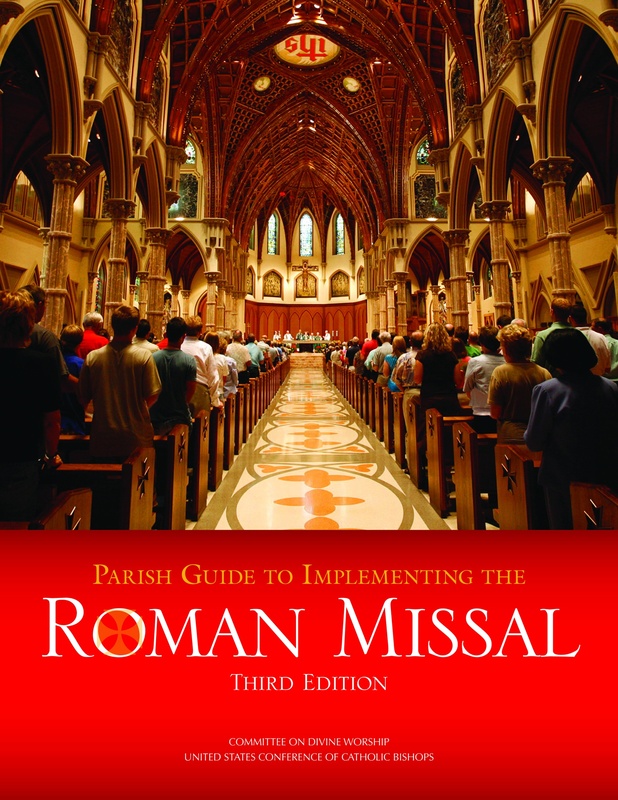 It involves the introduction of the English-language translation of the third edition of the Roman Missal. 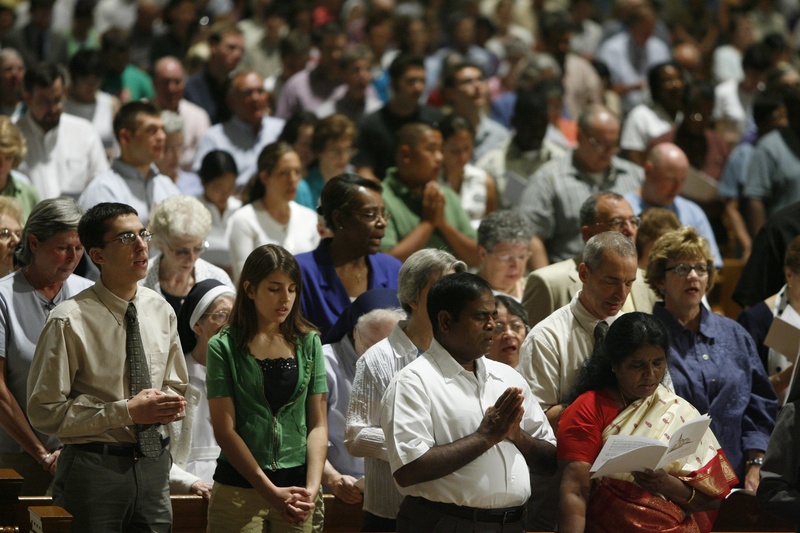 The church has less than 16 months to get priests and people in the United States ready to pray reverently, intelligently and together at Mass. Those most affected will be the priests, who have to learn new words and cadences. 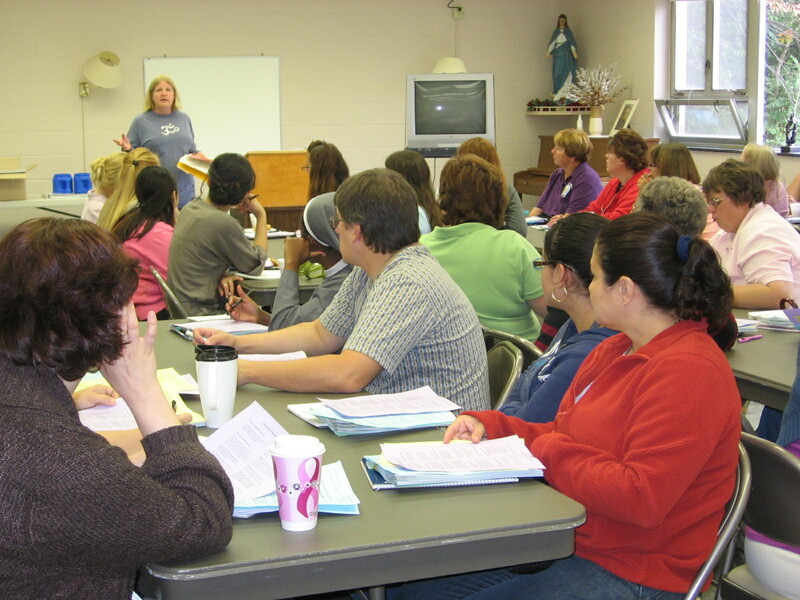 People in the pews will learn new responses and hear new phrases, closer to the Latin originals. 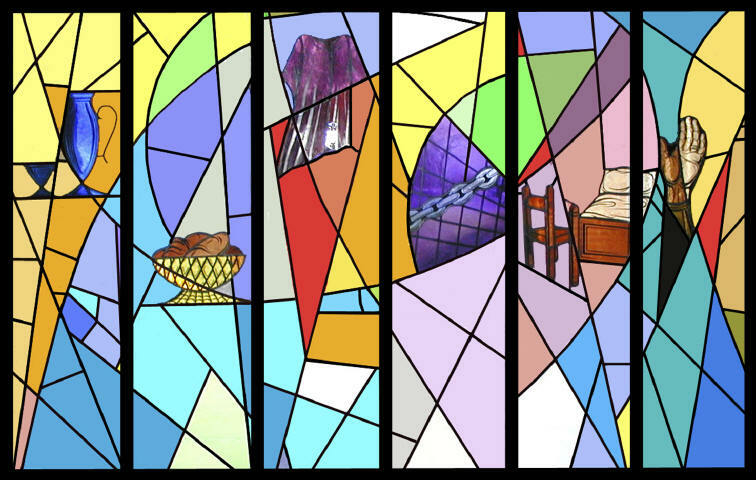 The last major liturgical change was in the mid-1960s, when Roman Catholics went from the Mass in Latin to Mass in the vernacular, with words and phrases common to our ears. 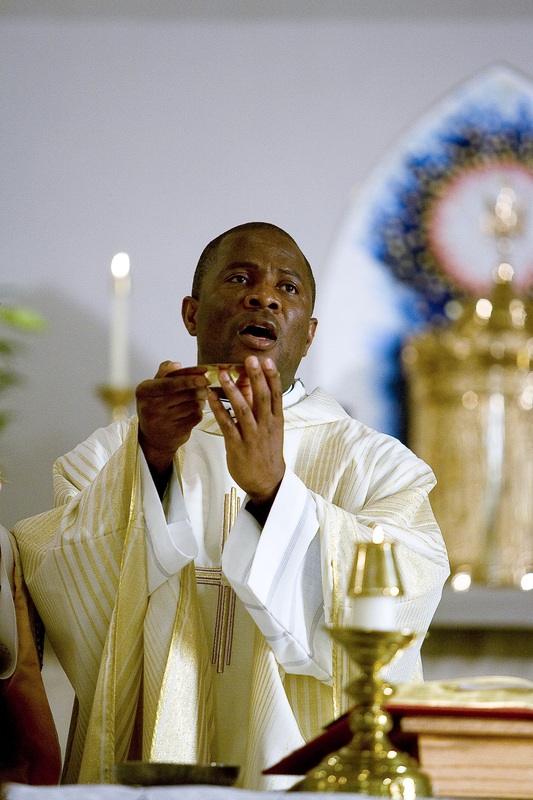 For many, it was the first time they knew exactly what they and the priest were praying. While the Mass in English-speaking countries was essentially the same, the United States had one version, Great Britain another, Australia still another. Now we have a text that is the same for all the English-speaking nations. Seems appropriate as the world grows closer together. We’ll also have language that is less commonplace, which will sound like church language, certainly not inappropriate given that this is for church. It’s not unusual for us to have different language styles in different parts of our lives. How we speak in the ballpark isn’t how we speak in the classroom or how we speak in oratory from a stage. Why not a different language style for church? 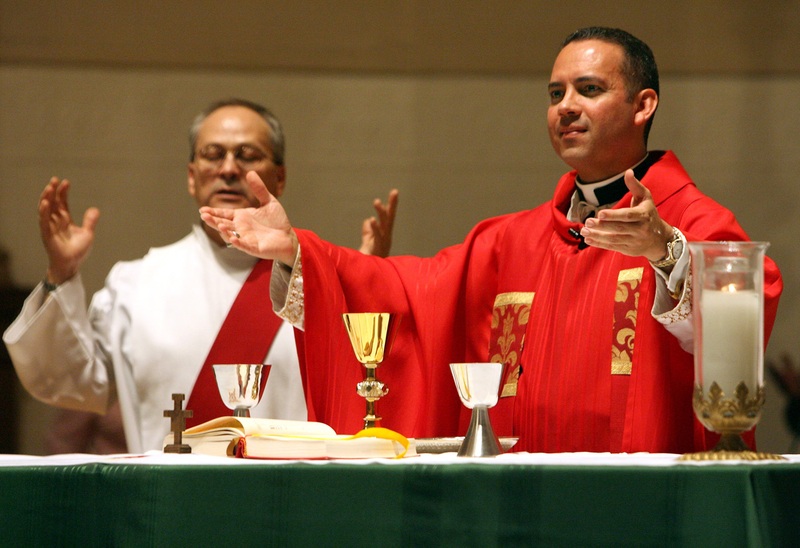 Processing up to Communion isn’t sliding into home plate. “Give me five” on the basketball court isn’t the same as “Peace be with you” at Mass. There have been jokes about words as scholars worked out the translation. 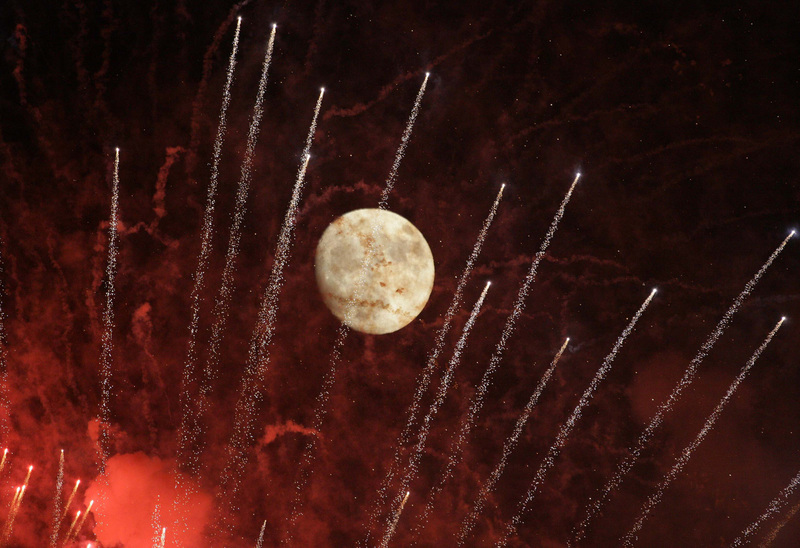 One word church pundits laughed about is “ineffable,” a description of God. “Ineffable,” Merriam-Webster says, means 1. Too great or extreme to be expressed or described in words, or 2. Too scared to be uttered. 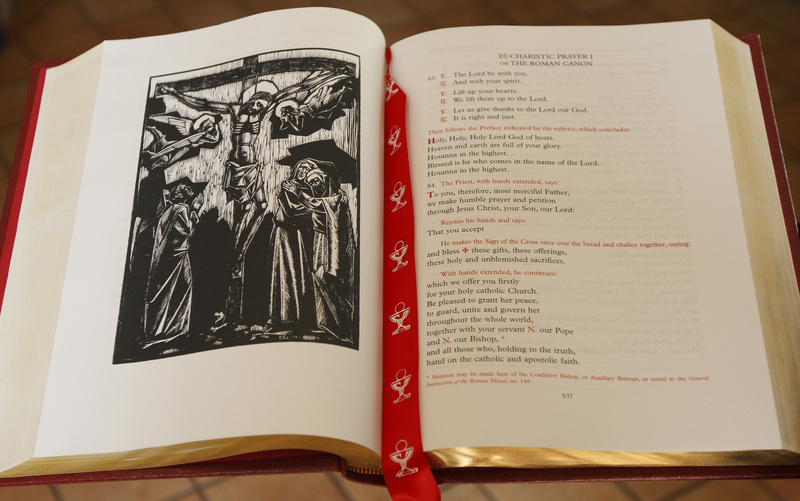 As texts were being edited, the word became less popular with translators and now it is in the Roman Missal just once, in the opening prayer for Mass on December 20. The word has captured my imagination, however. In prayer it is one of my favorites, my excuse for not quite understanding God, the reasons why God does something, or how God does anything. When I ponder “What does God want,” I realize that I have to live with the fact that I’ll never completely understand the “ineffable” God. It’s not lack of prayer that keeps me from knowing exactly what to do; it’s that the ineffable God holds his absolute knowledge from me. It takes the pressure off. We Catholics are about to embark on an educational journey. We’ll learn a more exact language for prayer, we’ll deepen our theological roots, and we’ll gain a greater sense of the sacred. And if parishes do it right, we’ll learn this together. 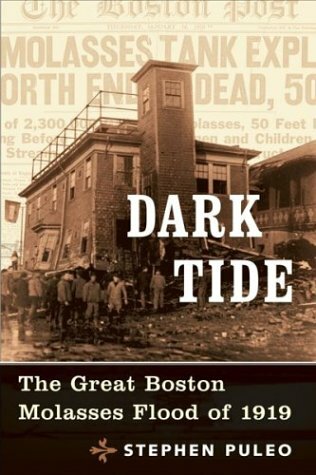 This summer I read a book by Stephen Puleo entitled Dark Tide, providing an historical account of “The Great Boston Molasses Flood of 1919.” On a cold winter afternoon in the city’s North End neighborhood, over two million gallons of molasses suddenly burst from a five-story high tank, quickly engulfing nearby crowded streets and causing forty deaths and many life-altering injuries, as well as severely damaging numerous buildings. Puleo skillfully describes the disaster from its genesis to its aftermath, taking the reader back to an industrial tragedy that today is remembered largely as if it were just a curious fable. Not long after finishing the chapter in Puleo’s book that recounted the instant the molasses unexpectedly spilled through, followed by an onslaught shocking in its rapidity and stunning in its devastation, I experienced with others a loss almost as swift and just as tragic. A co-worker had died, the victim of a fast-acting cancer that was not detected until mere days before the end. 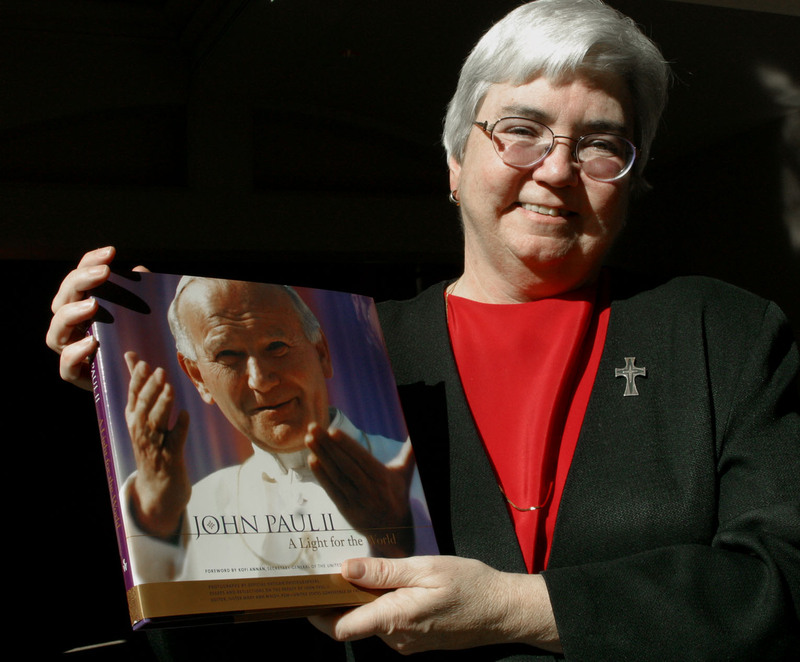 A month before his death, when asked how his meeting of state Catholic Conference directors in San Francisco went, our Executive Director Ed Saunders told me and the other staff members of the Massachusetts Catholic Conference, Kathy Magno and Kathy Davis, that he felt “lousy” during the entire trip. A persistent cough suggested that he had a cold or infection, and we kidded him about not giving the germ to us. 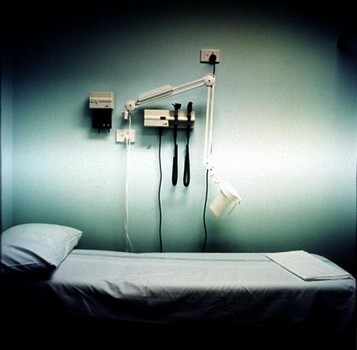 Two weeks later, Ed went into the hospital at his doctor’s command. A week after that, while Ed was in the midst of many medical tests, the MCC staff visited him. 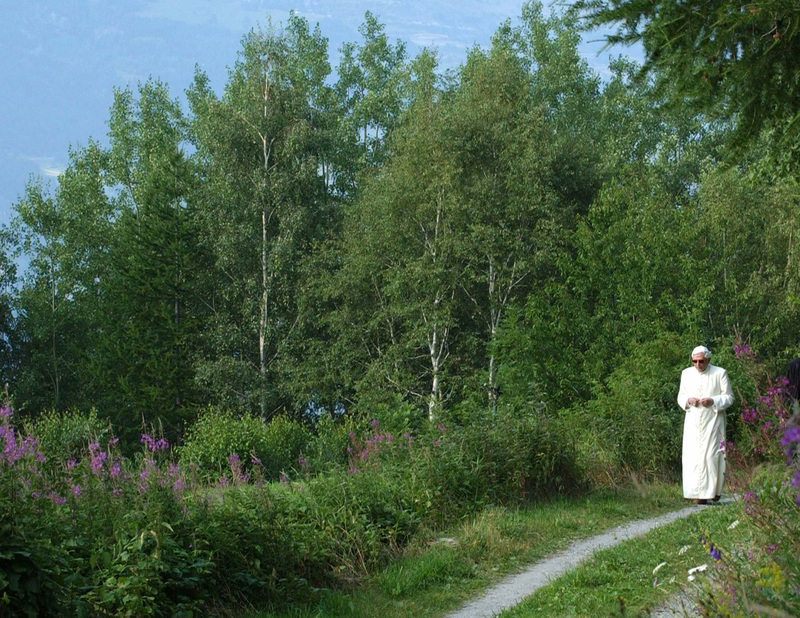 When we arrived, he was conversing with a high school classmate and long-time friend Fr. Jim Shaughnessy, a chaplain at the hospital who quietly left and graciously returned with more chairs to seat us. 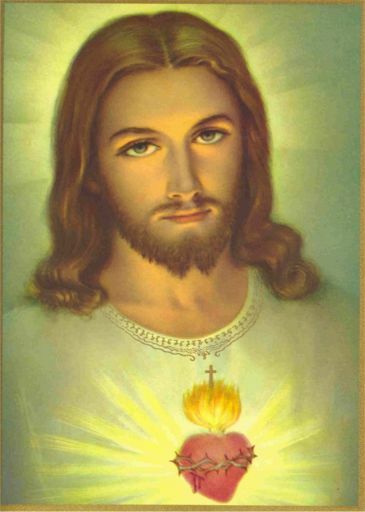 Kathy Magno had brought Ed a reproduction of an old painting of the Sacred Heart of Jesus, created by a computer program in a way that incorporated many smaller pictures of Jesus to form the larger picture, a twenty-first century digital mosaic. It was blessed after noon Mass at Saint Joseph’s in the West End, near our office. Ed was intrigued by the composition and, as we were told after his death in Fr. Shaughnessy’s funeral sermon, he would point out the picture to anyone who came to his bedside. A week later, on a Friday morning, we received a call at the office, informing us that Ed was dying. That night, in the early minutes of the next calendar day, he passed away. 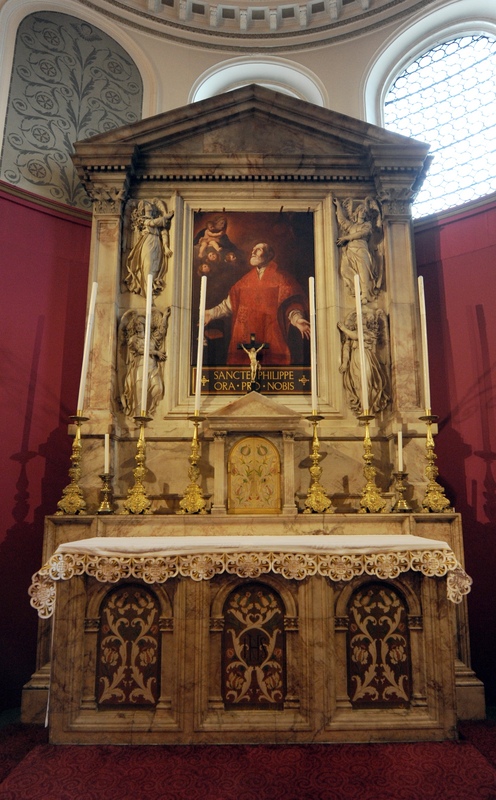 We learned later that he was advised of death’s impendency only a day or so beforehand, had made his peace with God and, prepared for the end, had received the last sacraments. The suddenness of Ed’s death of course has shocked everyone who knew him or about him. For us in the office, the experience was rendered more acute in that so many of our daily working hours were spent in Ed’s presence. It is one thing to lose a family member or friend that you see perhaps on the weekend; it is another thing altogether, especially in a small office, to lose a co-worker. 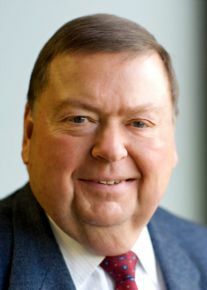 Close up, as a co-worker, I saw that Ed had many gifts which have been only partly acknowledged in his obituaries and in recollections among his family and friends. For example, early in Ed’s tenure at the MCC, I had to attend to my wife Elaine’s hospitalization and care, and Ed was generous in his understanding allowance for my frequent exits. 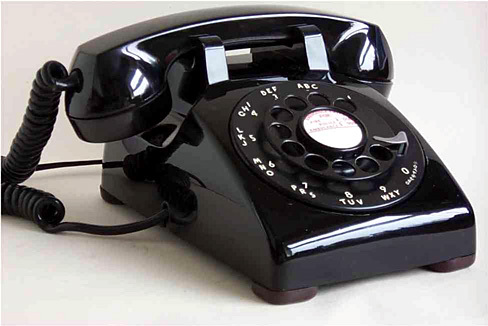 In addition, the MCC staff became familiar with Ed’s phone calls with his Aunt Agnes. Ed would dial her morning and afternoon to check in on her. She is hard of hearing and we could hear Ed from his office reminding her in ever louder tones that it was time to turn on the television Mass or the Red Sox broadcast. Both of Ed’s parents had died young, and Aunt Agnes took Ed and his sister Ellen under her wing. In response to comments about how good Ed was to his aunt, he would reply that she always had been very good to him. Memento mori, “remember you will die too.” On Ash Wednesday as our foreheads are blessed with ashes we are told, “Remember man that you are dust, and to dust you shall return.” In Sirach (chapter 7, verse 36 in the New American Bible), it is written, “In whatever you do, remember your last days, and you will never sin.” Ed’s death, surprising in its speed and sobering in its utter disdain for relative youth, is a bracing reminder of our own mortality. Ed had the opportunity, as rushed as it was, to become ready when readiness really had to be reached. Are we prepared for our own transit? They could have been at the Big E or enjoying a glorious fall day in New England. 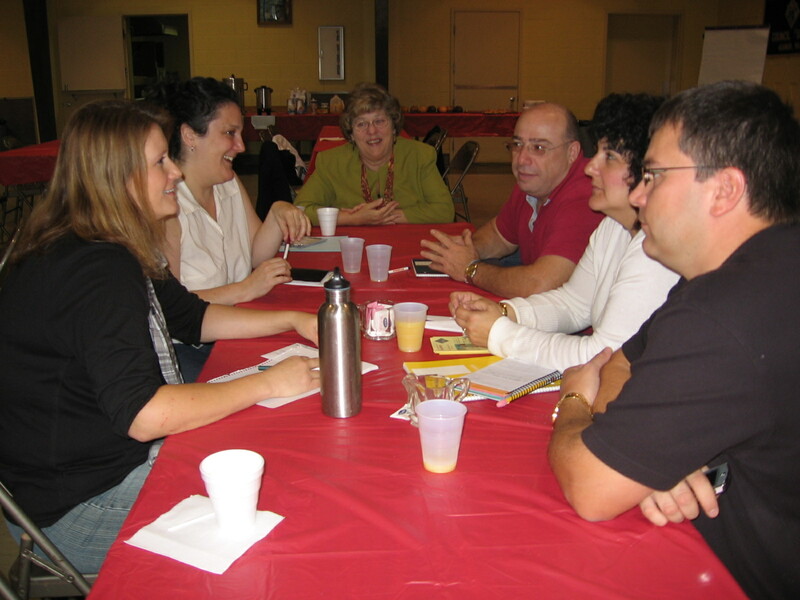 Instead, more than 60 religious educators in the Diocese of Springfield gathered for an “Essential Catechist Training Program” at St. John the Evangelist Parish in Agawam on Sept. 18. The day was sponsored by the Office of Faith Formation for the Diocese of Springfield. Patti McManamy, victim assistance coodinator for the safe environment program for the diocese, was one of the speakers at the event. In the picture above, she is explaining the S.E.E.D. 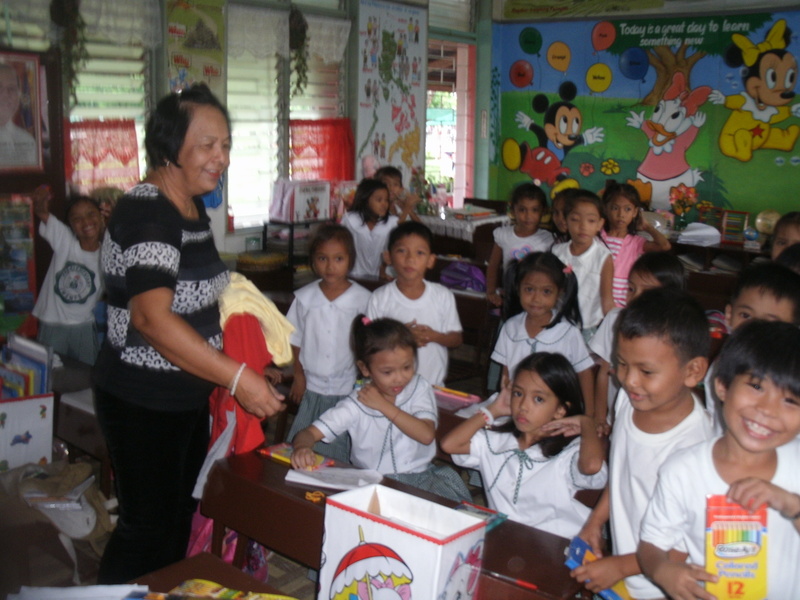 (Safe Environment Every Day) program for Grades K-6. 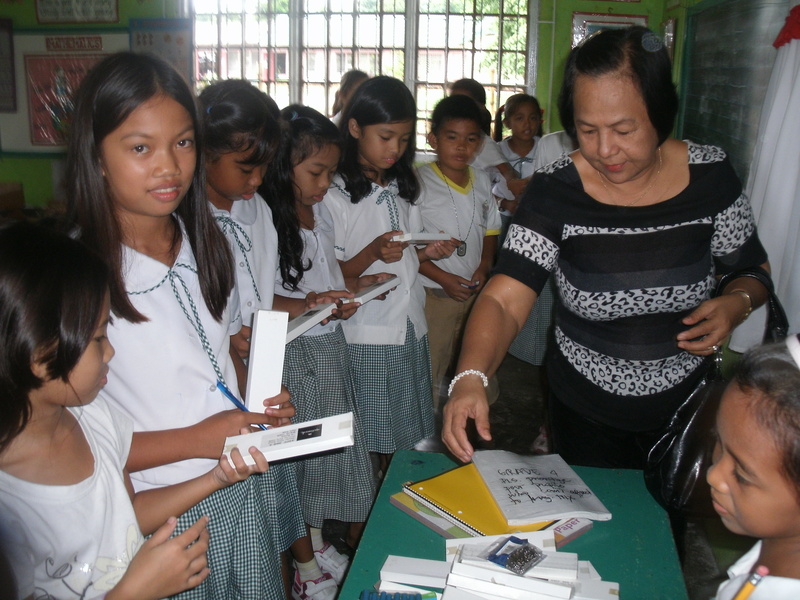 This will be implemented in religious education classes throughout the diocese. Sister of St. Joseph Paula Robillard, director of Faith Formation for the diocese, gave presentations and training throuhgout the day. In the above photo she meets with a team of high school instructors from Mt. Carmel Parish in Springfield. 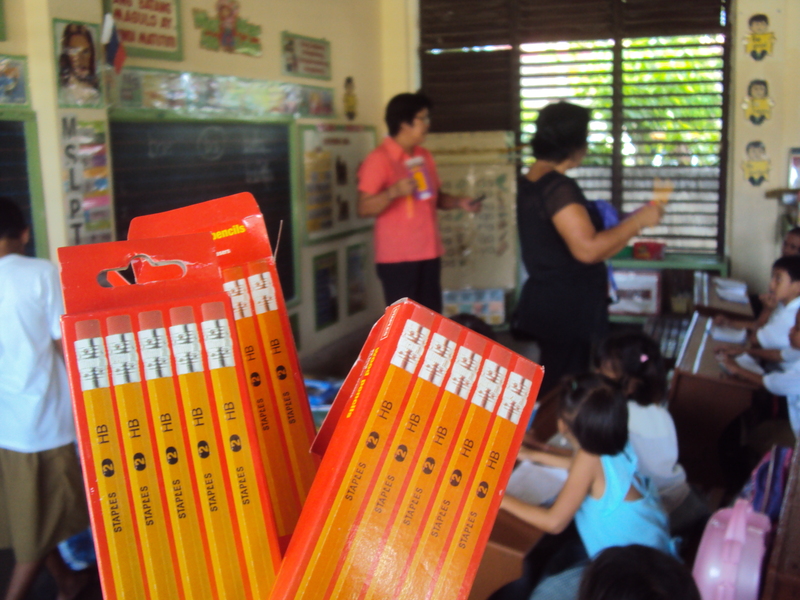 They discussed how to approach their students with listening hearts and thorough preparation. 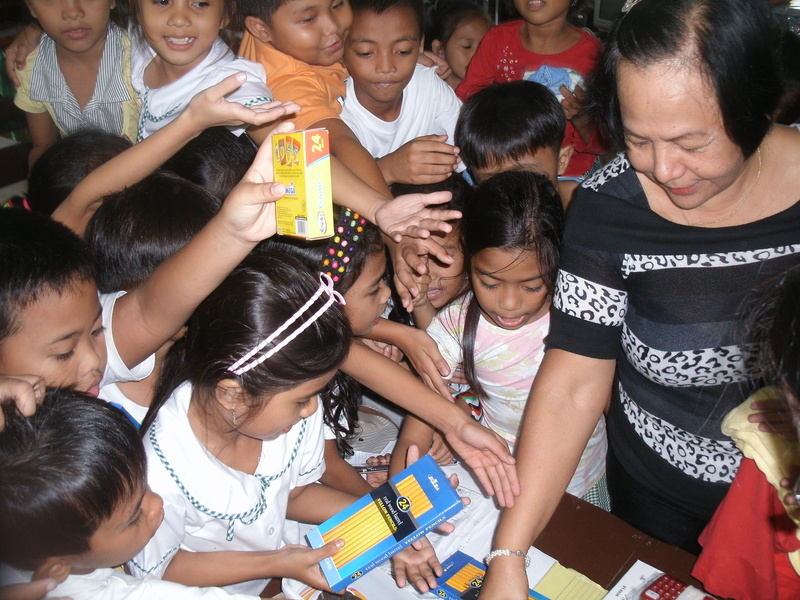 Photos and information submitted by Sister Betty Matuszek, pastoral minister at Mt. Carmel Parish in Springfield. 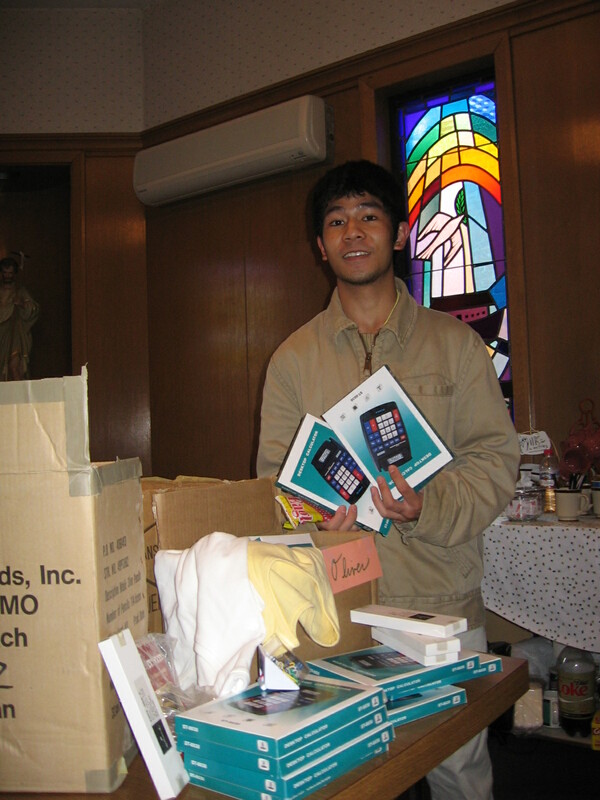 Last Spring, Our Lady of Mount Carmel Parish in Springfield held an “Adopt-A -School” collection. It was led by Oliver Awat, an altar server at the parish and a senior at Cathedral High School in Springfield. A native of the Philippines, Oliver and his parents, Olivea Melaya Strohman and Steve Strohman organized the collection with the help of Cathedral High School, the St. Vincent de Paul Society of Mt. Carmel Parish and Sister Betty Matuszek, pastoral minister at Mount Carmel. 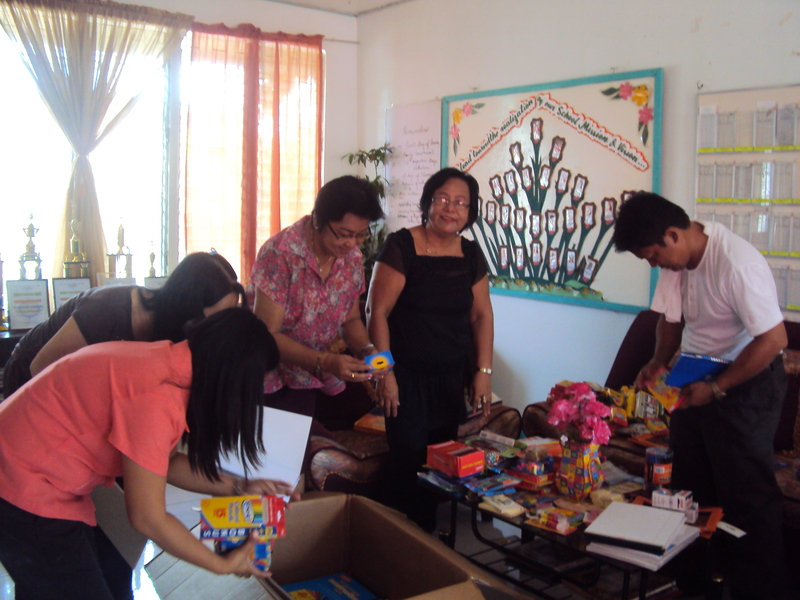 The boxes of school supplies arrived and the Mt. Carmel community wanted to share them with others. 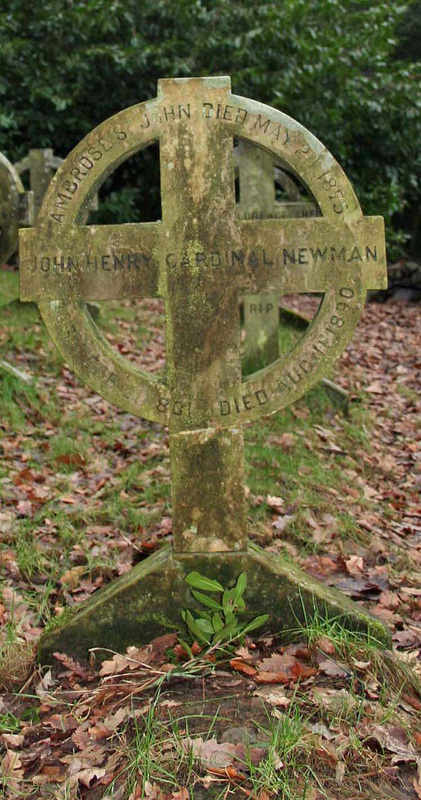 The beatification of John Henry Cardinal Newman on September 19 in Birmingham, England, may not draw much media attention, but it is still noteworthy. 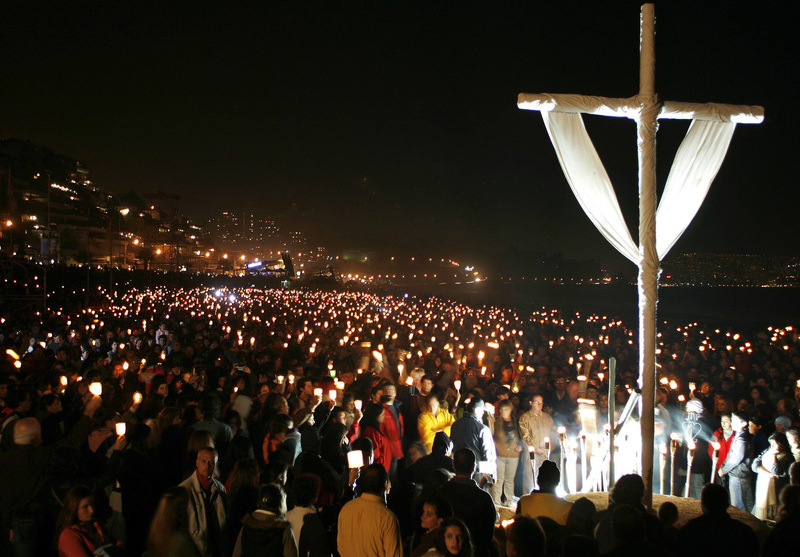 Newman’s beatification will be the first one Pope Benedict XVI has presided over. 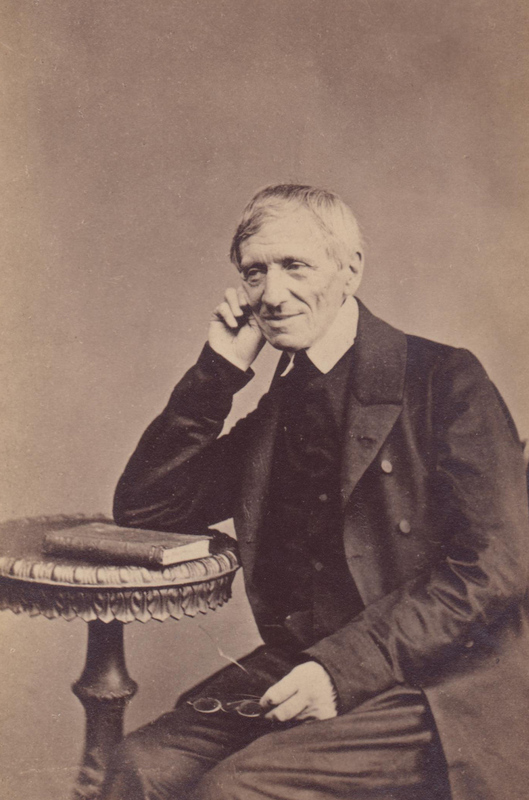 One senses that the theologian/scholar/Pope Benedict might feel a kinship with Cardinal Newman, a great intellect of the Victorian Age, and a figure of renown in both Anglican and Catholic traditions. He was a prodigious writer who promoted the need for the church to engage the world, a position that did not always make him friends. 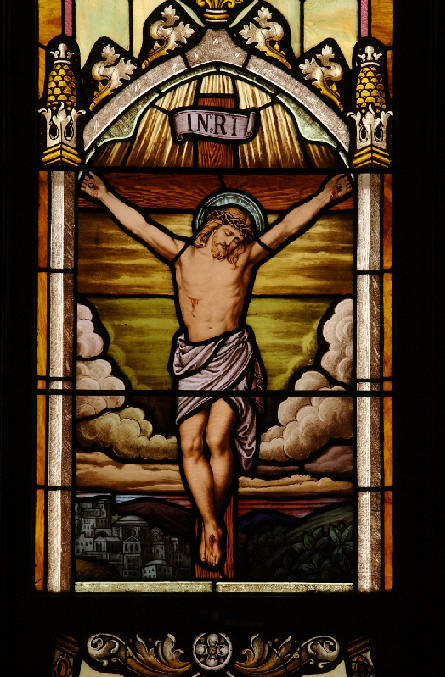 As a Catholic he fiercely defended the faith, to the point where he nearly went to jail for intemperate words while sparring with an anti-Catholic zealot. 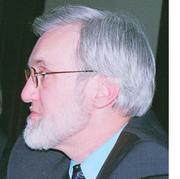 He was a man of intellectual rigor, but writings reveal a humanness too. 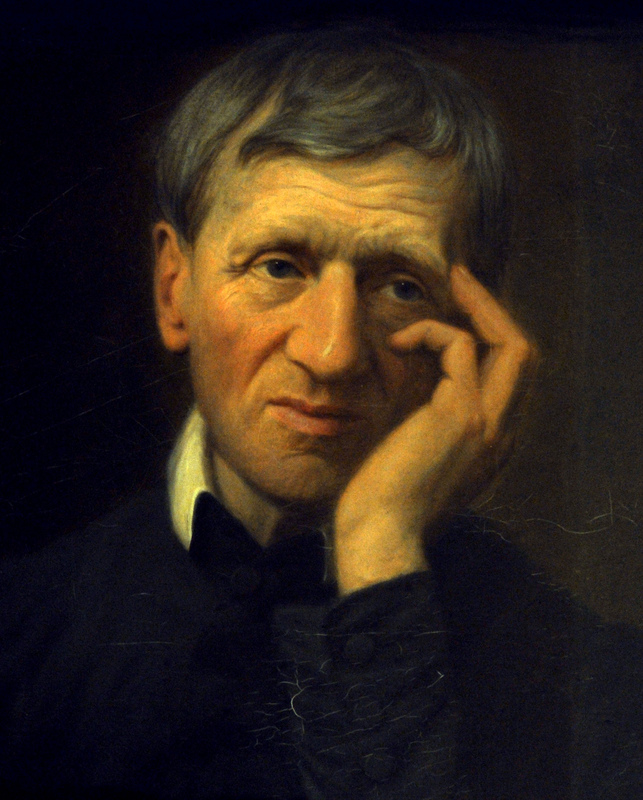 He expressed it in his motto as a cardinal: “heart speaks to heart.” A favorite poem, written in 1833, when he was 32, is “The Pillar of Cloud.” It reveals both the intellectual quest for God for which he was known, and the deep reach of a soul, to which most can relate at some point in their lives. Right after work, today, I am rushing to the U.S. Post Office. 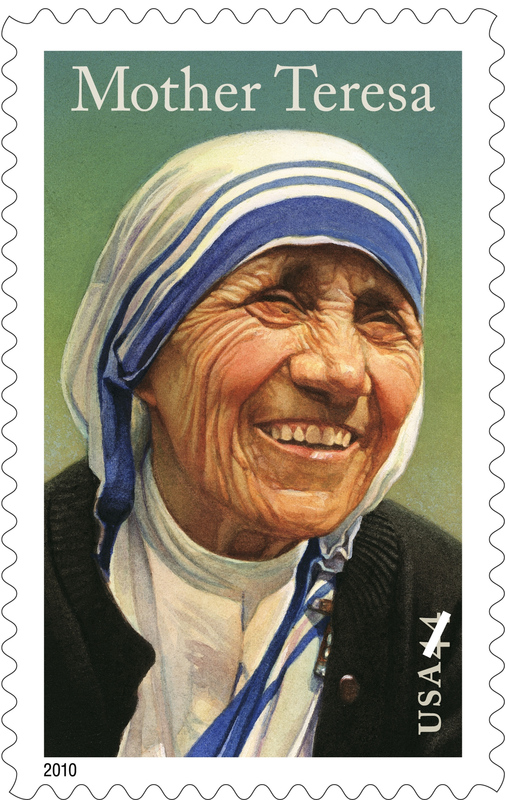 I am going to stock up on Mother Teresa stamps. 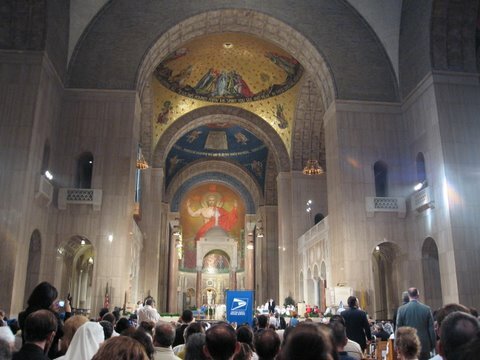 The new 44 cent stamp with her image was released yesterday at a ceremony Sunday at Washington’s National Shrine of the Immaculate Conception. My daughter, Elizabeth, attended the Mass and dedication and I watched a lot of it on television. 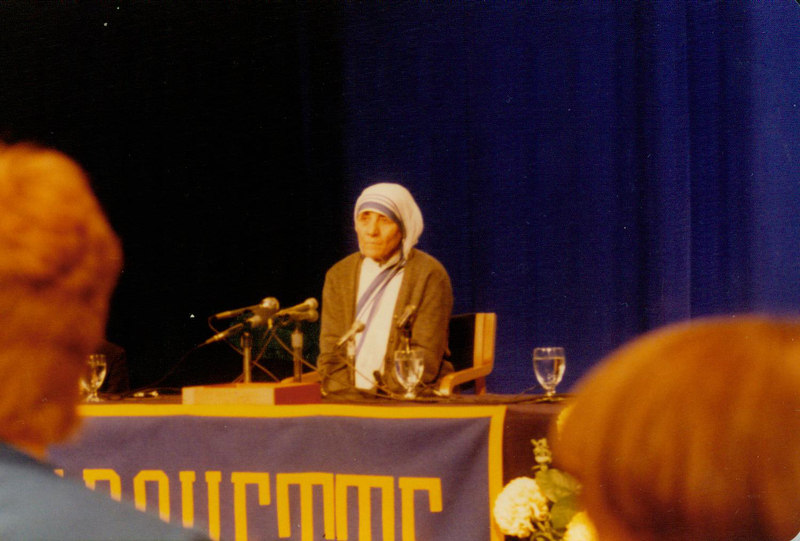 Mother Teresa is well known to the world. She won the 1979 Nobel Peace Prize for her work with the “poorest of the poor” in India and other areas. She was declared an honorary U.S. citizen by a joint resolution of Congress in 1996. 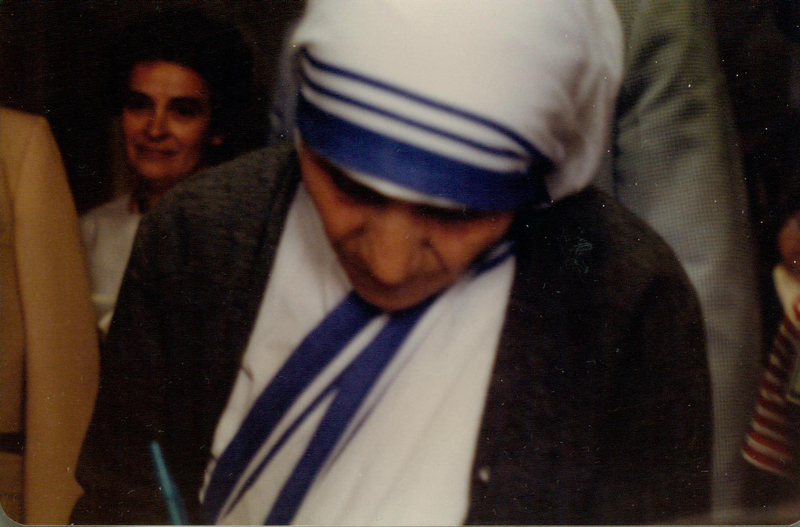 I was lucky enought to meet Mother Teresa on June 13, 1981 in Milwaukee, Wisconsin. 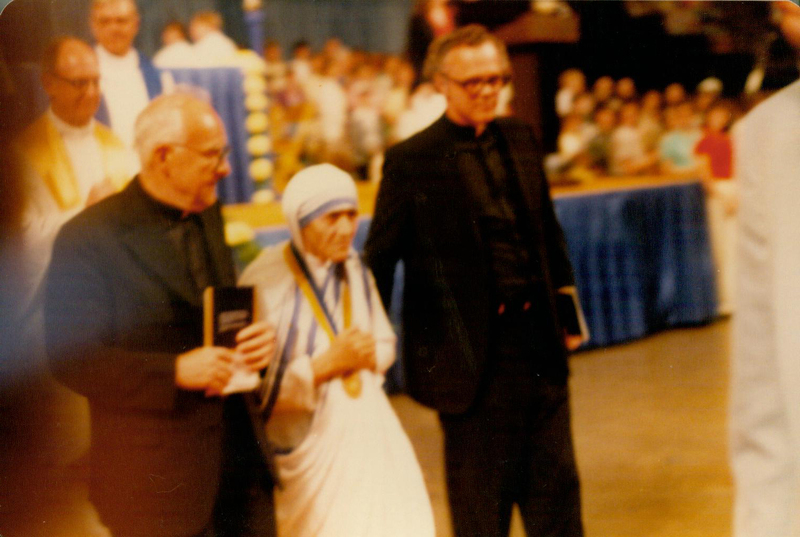 She was being given the “Pere Marquette Discovery Award” by Marquette University and I was reporting on the event for the Milwaukee Catholic Herald, the Catholic newspaper for the Archdiocese of Milwaukee. I must admit that I was nervous that day. I was a fairly new and young reporter. I had a list of about a dozen questions that I might ask at the press conference. The television reporters and those from the major media jumped right in to the questioning. I heard them ask the questions I had written on my piece of paper. I wondered what I could now ask her. The press conference was winding down but I did not want to miss a chance to speak with Mother Teresa. I raised my hand timidly and was recognized. Yes, I just asked a future saint if she was thinking about retiring!!! 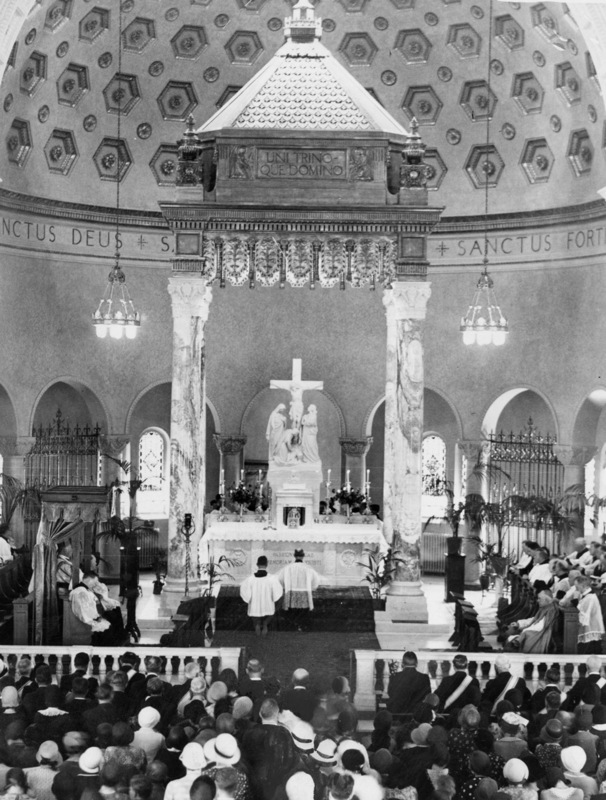 Mother Teresa at the Marquette Mass. 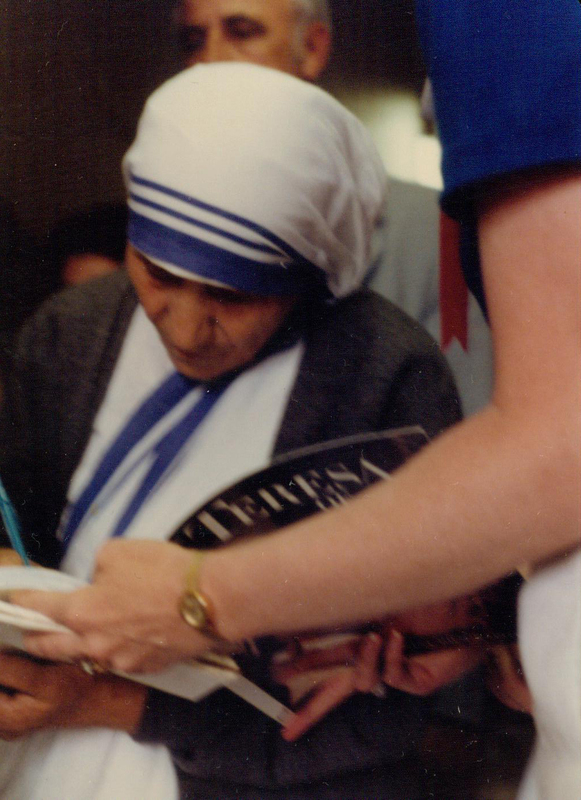 Even back in 1981, I knew that the day I met Mother Teresa was going to be one that I would not forget. I felt that she embraced me, even after I asked such a lame question. She had something so special that you felt different around her. I could desrcibe her as holy, charismatic, confident, loving. All fit her aptly. But most importantly, my encounter with her made me want to be a better person. She inspired me then — and knowing how she struggled with her own “dark night of the soul”” — I am even more inspired now. And she definitely makes me run out to the post office to stock up on her stamp.